This Is Getting Old: Happy Birthday Mr Fleury! Why, you may ask, am I wishing Marc Andre Fleury a happy birthday nearly 5 months ahead of time? Well, it appears Uncle Ray (Shero) already got him a very nice present. 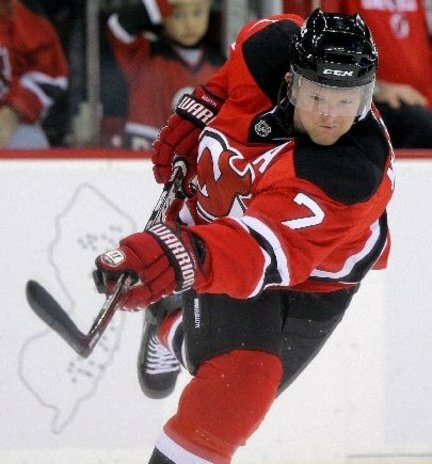 Shero added defenseman Paul Martin to the roster Thursday afternoon to (probably) complete the revamping of the defense. Between Martin and Michalek, some of the defensive struggles of last year will hopefully cease to exist and maybe make Fleury's job a bit easier. Let's take a look at Paul Martin. He is neither huge nor small at 6'1 200 lbs. He is not an overly flashy puck mover nor is he a huge bruiser of a shutdown man, but he is the definition of solid. He has great positioning and good vision with the puck. He can also slide onto the Pens 2nd powerplay unit effectively as that was one of his strong points with the Devils. He is exactly what the Pens were looking for in a versatile, all purpose defenseman who can fill nearly any hole required. They did fork over some decent cash to get him (5 years 5 million each year), but I think it will turn out to be worth it. Shero is making the right moves today.